A student Stafford loan is one of the best opportunities for students to get the money they need for college. A Stafford loan is unlike many of the other student loan programs out there. With the rising costs associated with secondary education, the need for education financing is at an all-time high. Therefore, if you are looking for financial help with school, a Stafford loan should be one of the first things you look at. Here are the basics behind a Stafford loan. The first step in the Stafford loan process is the application. You can fill out an application online very easily. It takes a few minutes and they will have the information that they need. This application will help them determine whether you need a subsidized or unsubsidized Stafford loan. With a subsidized loan, the government will actually pay the interest that is accruing on the loan while you are in school. Therefore, you do not have to pay anything while you are taking classes and the interest has not yet started accruing. With an unsubsidized loan, the interest does accrue while you are in school. You can defer the interest payments or make the payments on interest while you are in school. 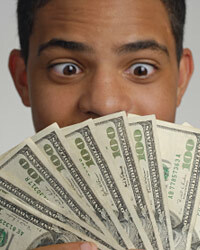 If you choose to defer the interest, it will simply be added on to the balance of the loan. Then when you get out of school, you will have to start making payments on the principal and interest of the loan. Qualification for Stafford student loans is not based upon the same criteria that normal loans are. Luckily for many people, qualification is not based on credit history. Therefore, almost everyone will qualify for a Stafford loan if they need it. You have to be a United States citizen or national, permanent resident, or an eligible non-citizen. You also have to be attending a secondary institution that is part of the program. However, this should not be difficult as almost all colleges and universities are. You also have to submit a FAFSA which is how they determine your financial needs for the loans. You also have to be enrolled in a half-time course load at your school. The interest rate that you will pay on the Stafford loan is usually very reasonable and lower than you could get in the private market. These are federal student loans, so the government is in charge of the entire process. The interest rate will depend on whether you are subsidized or unsubsidized and which year you borrow the money in. For example, you could get a rate somewhere between 3.8% and 6.8%. There are typically some fees associated with this type of loan product. They charge you a small origination fee and a default fee. Together, these fees typically run about 1.5% of the loan balance. You can also only borrow a certain amount of money per year. Therefore, you have to do some planning ahead of time and make sure that your tuition and fees will be under the annual limit.